March has been an nyc video production whirlwind. We’ve worked on some of our most ambitious projects to date, while also covering some eye-opening events in the tech sector. 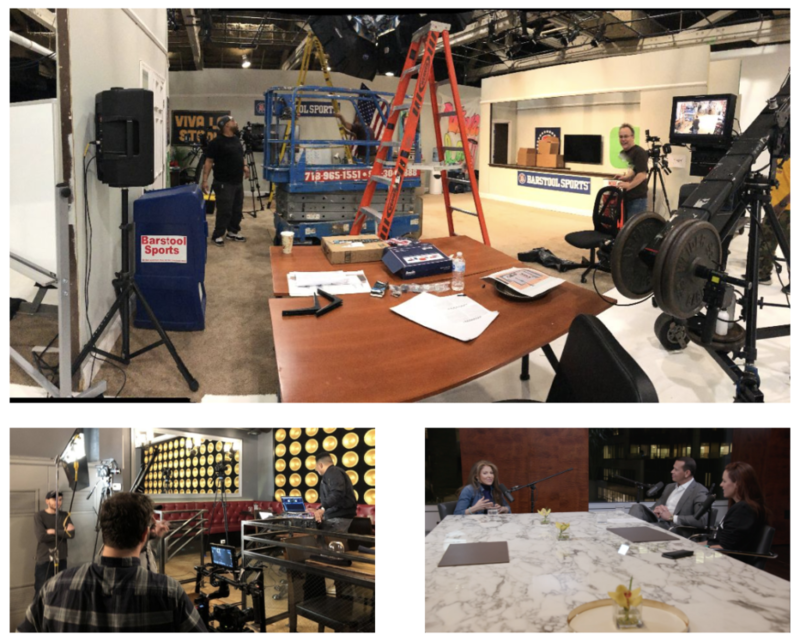 Before we head full-throttle into spring, here’s a recap of some of the exciting video production projects that kept us busy at ASL this March! 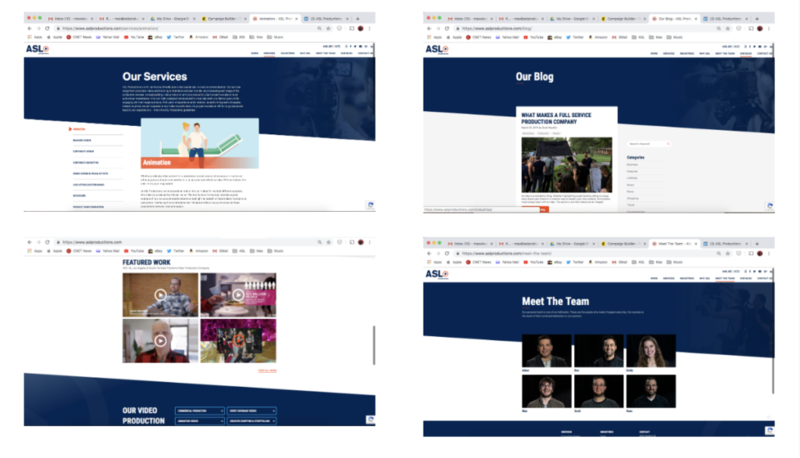 To go along with our new offices and new look, ASL went live this month with our slick new website. We’d like to send out a big thanks to Creating Digital for giving us the perfect platform to showcase our work and incredible team. At https://www.aslproductions.com/ , you’ll find our most recent NYC video production projects, blogs, staff bios, and everything else to suit your ASL-related inquiries. We had some amazing hair and makeup artists who transformed Francis into five distinct characters at light speed. The shoot day was a blast for everyone involved. We made our way to Sets-to-Go Studios in Woodland Park, New Jersey for a full day of shooting a new commercial for Barstool sponsor, Roman Swipes. Francis, a Barstool blogger, took on the personas of a news anchor, janitor, doctor, nurse and patient, all while putting a very Barstool touch on an erectile dysfunction commercial. Our set design team were the heroes of the day, as they constructed a doctor’s office set that felt so authentic that we thought it was time for our yearly checkup. 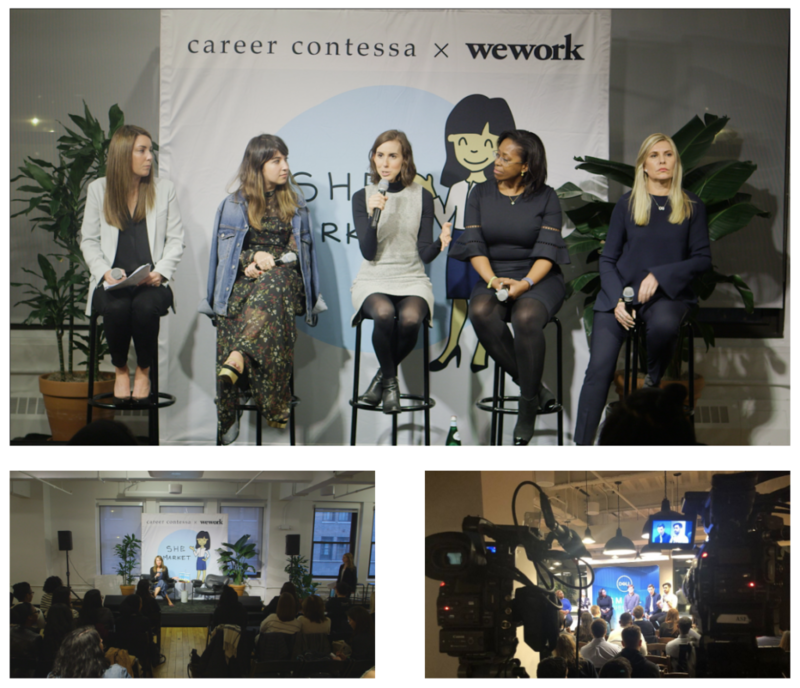 One of the things we love about working with WeWork is their nonstop commitment to putting on interesting events to cultivate the ultimate modern workplace. With panels and guest lectures, they’re constantly putting on educational events in their space and providing work for our NYC video production team. This month, we covered their Dell Small Business Panel, which featured Q&As with small business owners offering wisdom on maintaining a small enterprise in a tech world filled with giants. We also covered their She Market event, where over 300 attendees gathered to learn and discuss topics focusing on women in the business world. Though we can’t tell you too much yet, we’ll say that March got off to a huge start with one of the most “brainy” NYC video productions we’ve ever worked on. Nearly 36 hours after arriving on location, our team left with some great content in tow. Other upcoming Barstool NYC video production projects include a sports/business podcast with A-Rod and a series where Willie Colon marries his two great loves, food and hip-hop. We’re super excited to see the releases of these projects. Need video production support? We’d love to hear from you and discuss how we can bring your vision to life!